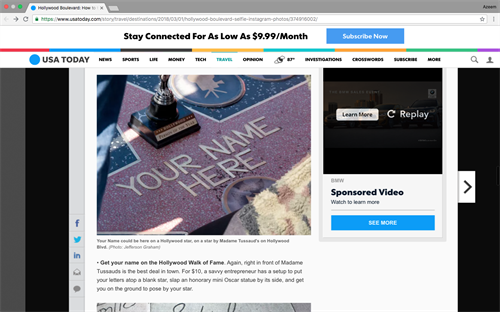 BHStar was created to bring a new unique entertainment attraction to the Hollywood Walk of Fame. BHStar provides a one-of a kind service for visitors of Hollywood Boulevard to “Be a Hollywood Star” for a Day. Patrons will receive a personal photograph with their name featured on Walk of Fame star that they can keep as a memorable souvenir. BHStar unique metal gold-colored alphabet letters are photo-imposed on existing blank stars on Hollywood Boulevard, forming your to take photos with their personal cell phones or cameras. BHStar personnel are available from 9h30 a.m. through midnight, seven days a week, so “stargazers” can experience their own Walk of Fame moment and be immortalized as Hollywood Star.